Statistics suggests a worrying trend in cancer prevalence and mortality rates – cancer is more likely to affect men than women. According to a 2009 report, men are sixteen percent more likely to get cancer than women, and forty percent more likely to die from the disease. When researchers adjusted the data to examine only cancers that affected both men and women, the difference became even more alarming. Men were sixty percent more likely to get cancer than women, and seventy percent more likely to die from it. The reasons for these disparities are not fully understood, but experts have offered several potential explanations. Firstly, male lifestyle factors may account for some of the differences. For example, men are far more likely to smoke than women. Globally, it is estimated that forty percent of men smoke, in comparison with less than nine percent of women. However, the gender differences on other lifestyle factors are less clear-cut. For instance, a 2016 study found that the male-female gap in alcohol use is closing. Clearly, lifestyle factors are not the only factor at play. Toxic masculinity may also play a role. From a young age, boys are taught it’s not okay to express their feelings; “boys don’t cry.” We tell young men to “man up,” to not show weakness. To “be a man” means to be strong, brave, and self-reliant. Unfortunately, these gender stereotypes and norms may deter men from seeking help for health problems. Furthermore, women typically have more frequent contact with health professionals (for example, during pregnancy). As a result, women have more opportunities to discuss worrying symptoms, as well as for education on signs, symptoms, and prevention of cancer. Finally, research suggests genetic differences between males and females may also be a contributory factor. According to a 2016 report from the Dana-Farber Cancer Institute, females carry an extra copy of certain protective genes in their cells. This genetic difference may also explain why men and women respond differently to treatment. Today, it is estimated that half of men will receive a cancer diagnosis in their lifetimes. Although recent research suggests that the cancer gender gap is narrowing, the fact remains early detection of cancer can save lives. If we want to help more men beat cancer, we must ensure that healthcare services are accessible, affordable, and appropriate. We need not only more research, education, and awareness, but also a shift in attitudes: men must perceive self-advocacy and help-seeking not as signs of weakness, but as signs of strength. 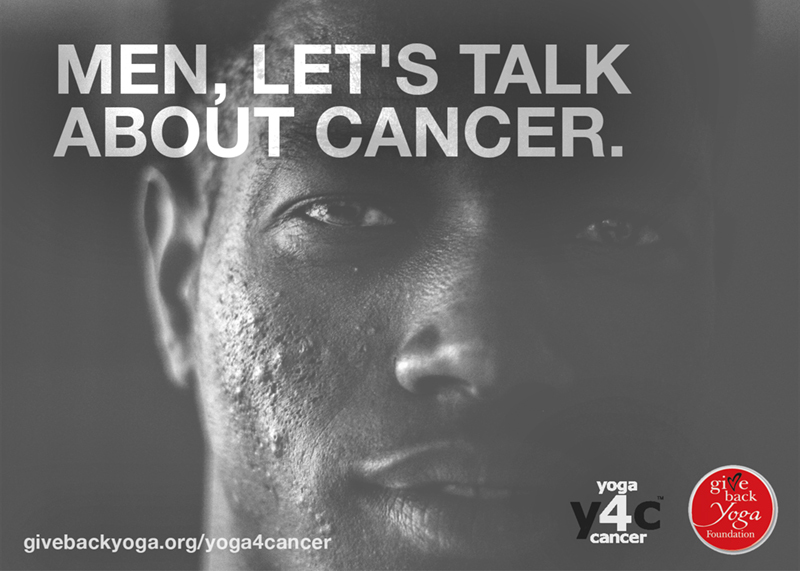 yoga 4 cancer helps cancer patients and survivors manage treatment side effects and sustain cancer recovery. As Executive Director of the Give Back Yoga Foundation and President of the Yoga Service Council, Rob Schware is proud to be part of a growing movement of yoga service providers who are helping to address societal problems such as school dropout rates, substance abuse, PTSD and high rates of re-imprisonment through therapeutic yoga outreach. Today, yoga service providers are reaching an estimated 200,000 individuals each year – including abused women, veterans, at-risk youth, cancer patients, prisoners and the homeless. If you believe in the power of yoga to plant the seeds of grassroots social change and healing, you won’t want to miss this special report on the state of yoga service in 2014. Join us in giving back from your mat! 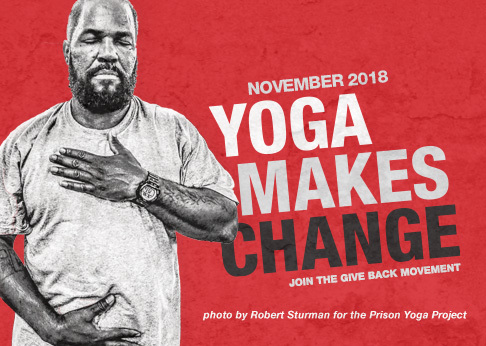 By donating the equivalent cost of one yoga class – just $15 per month – you can bring yoga to a veteran, prisoner, at-risk teen or another person in need. Your contribution could transform a life.